Now that the iOS 6 evasi0n jailbreaking tool is available, here’s how you can jailbreak your iPhone 5, iPad mini, or any iOS device you have lying around that is running iOS 6, 6.0.1, 6.0.2, or 6.1. Before starting to jailbreak your device make sure that your computer is running Windows (XP minimum), Mac OS X (10.5 minimum) or Linux (x86 / x86_64) so evasi0n can do its work with no problem. Then disable the passcode lock if you have it. Now lets begin! 1. Download evasi0n – iOS 6.x Jailbreak for your computer OS from evasi0n.com. 2. Extract it to your desktop or somewhere where you have access to the extracted files. 3. Open the extracted evasi0n folder, double-click the evasi0n.exe (or app), and plug in your device. 5. Wait and observe the tool as it progresses. It will reboot your device and ask you to perform some steps, which are easy to do. 6. After your device reboot, the tool will ask you to unlock your device and tap a ‘Jailbreak’ icon it installed on the homescreen. Tap it only once! 7. After you tap the jailbreak icon, the evasi0n progress bar will continue progressing and it will reboot your device. 8. 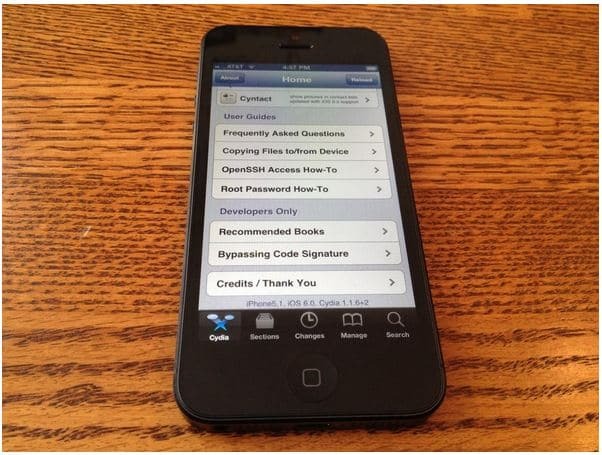 Finally, once your device reboot, Cydia should now be installed and the device should be completely jailbroken. Now enjoy the democracy Cydia has brought to your device!